This is so easy to do and taste really good with tea. It makes about 10 if you cut them big and more of course if you cut them up smaller. Put the flour a nd salt into a bowl and rub in the butter until it resembles fine breadcrumbs then stir in the sugar. 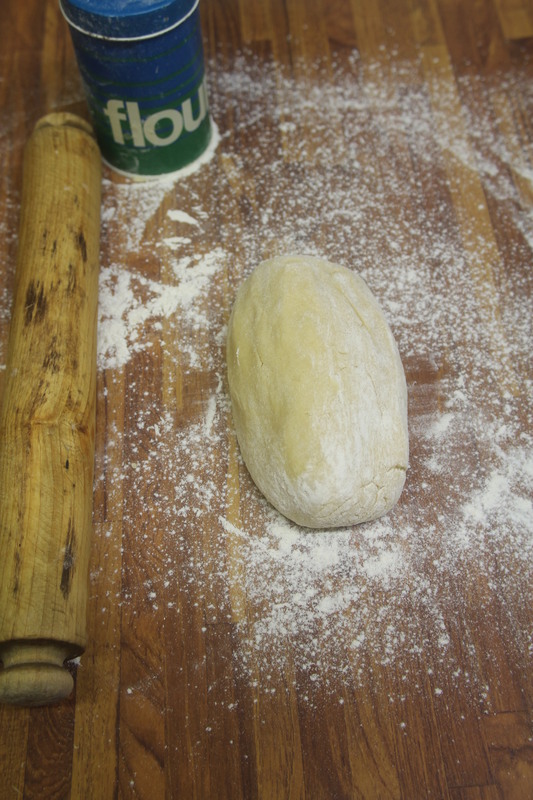 Mix to a stiff dough with the egg and milk if required and turn out onto a floured worktop. 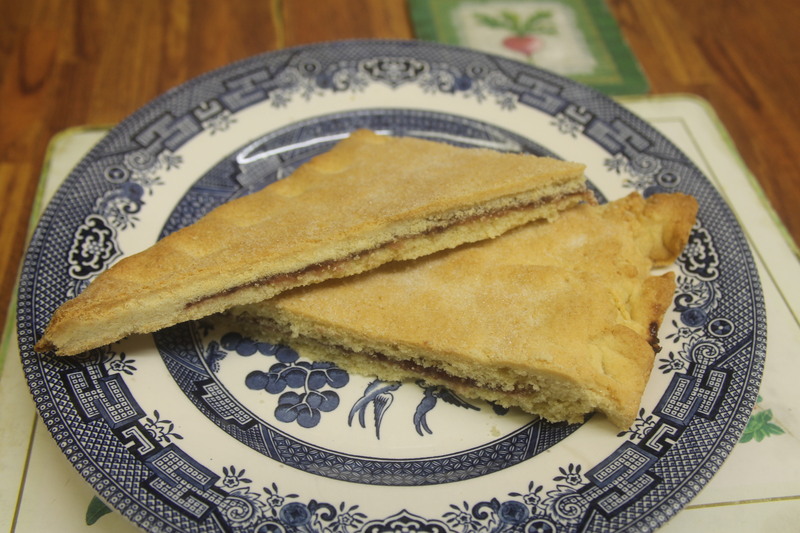 Place one piece of dough onto the sheet and spread warmed jam over then cover with the other piece of dough. Pinch the edges together fork over the top and dredge with caster sugar.